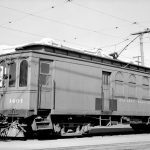 Pacific Electric no. 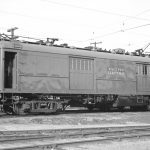 1402 at Torrance Shops, March 21, 1937. 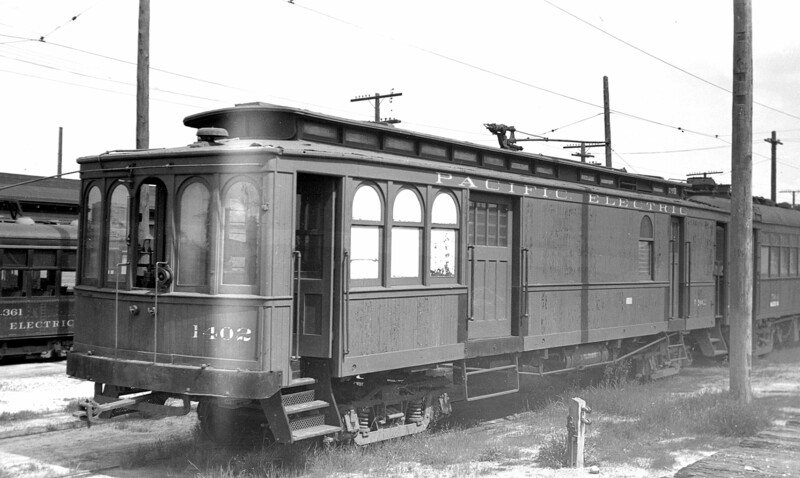 The 1402 was a former Ocean Shore Railway car. What a beaut! Must have looked “smackin'” in full color. Single truck Birney car PE 361 to rear left.